To continuously improve our products and services to our customers, Modineer offers precision machining of carbon steels, stainless steel, alloys, aluminum, as well as many casting materials. We can produce single part prototypes, as well as long-term, high volume production. Modineer has implemented numerous high-speed machining centers to work in combination with material handling robotics, thus maximizing our value to you. We offer product development and engineering collaboration support to help drive out inefficiencies and increase savings for our customers. With our talented employees and state of the art equipment, we guarantee quality and satisfaction through our machining services. CNC turning and milling up to 6 axis capability. Modineer uses state of the art, modern tooling and fixtures to reduce cycle times, with the result being cost savings for our customers. 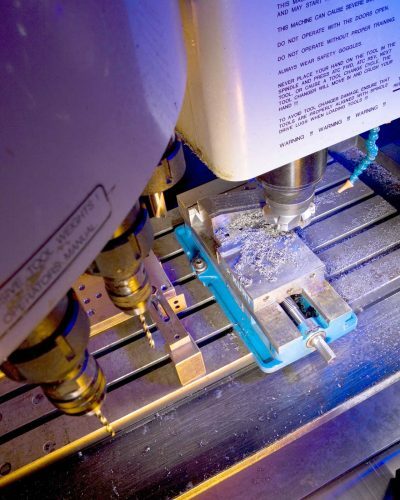 Indexable end mills and through coolant tooling, as well as high speed machining, help us accomplish your goals.